These were fitted in the Devon, Dormobile, Danbury & Viking conversions. 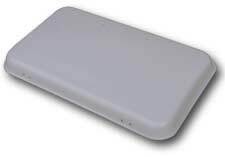 Replacement bunk canvas are available for all models in plain canvas colours royal blue, mid grey, burgundy and light beige. Vinyl Bunk Covers were also fitted to cover the bunks when stowed away and these are also available along with the appropriate attachment fittings. 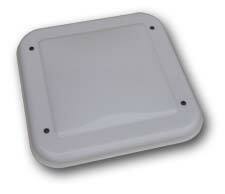 We are able to supply a variety of vents, either just the plastic vent covers or where applicable complete units. Pop top Devon (concertina type) this replacement vent cover is made from a white plastic and comes with four ready drilled attachment holes with rubber grommets, this ensures they do not crack or leak. We have made replacement hinges for the majority of applications that require spares. Devon side elevating, this brass hinge with a bronze pin just requires the mounting holes drilling to match originals. Devon pop top (concertina), not exactly a hinge but part of the support bracketry that tends to rust on the Devon, it replaces the top pivoting bracket and comes with a new pivot bolt and brass spacers. Set of 4 corners. All our gas struts are made to the original specifications with the correct pressures and end fittings, it should be noted that gas struts tend to gradually lose pressure over a period of time towards the end of their life. Most roofs fitted with gas struts should be relatively easy to lift and should stay up without any other assistance, if yours does not then it is very likely you would notice the improvement of a new set of gas struts. We recommend that they are fitted in sets and will not warranty single items.